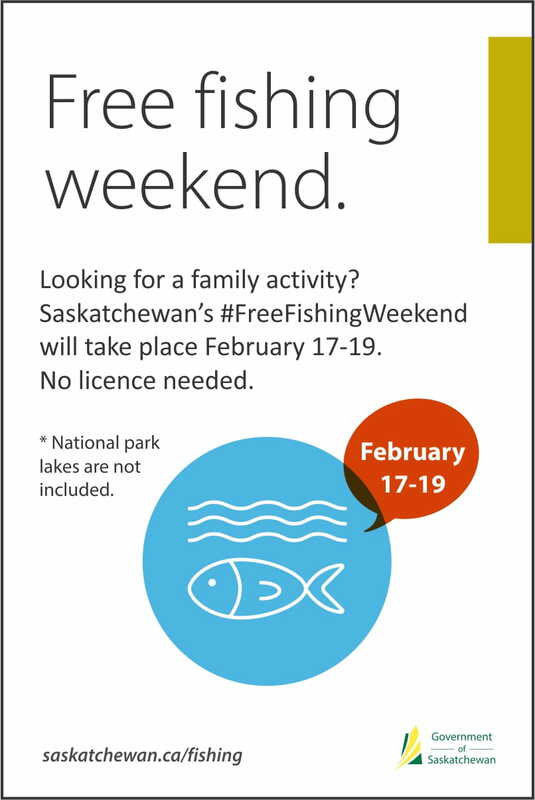 Saskatchewan’s annual winter free fishing weekend once again coincides with the province’s Family Day holiday weekend on February 17, 18 and 19. Saskatchewan’s public waters are open one weekend each winter to encourage participation in ice fishing. Both residents and visitors may fish in any waterbody that has an open sport fishing season, without purchasing a fishing license. Anglers are reminded to use caution and common sense, and always put safety first when going out on frozen lakes. This includes testing the ice thickness before travelling on it. 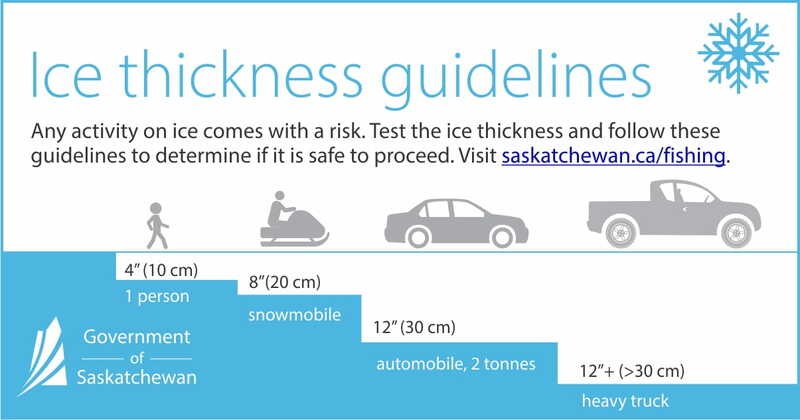 A minimum of 10 cm of good ice is required for walking and 30 cm for light vehicle travel. Wear warm clothing. Anyone planning to take advantage of free fishing weekend is reminded that all other fishing regulations, including possession limits and reduced limits on some lakes and rivers remain in effect. More information about fishing in Saskatchewan can be found in the Anglers’ Guide, available wherever fishing licenses are sold, or online at www.saskatchewan.ca/fishing.